“The banker reached inside his jacket and withdrew a piece of paper, folded in thirds, from his breast pocket…. As Bud took it from the banker’s hand, the blank page generated a nice animated color logo and music. The logo developed into a peacock. Beneath it, a video presentation commenced, hosted by a similar-looking gent… “‘The Parsis welcome you to Peacock Bank,’” he said. This piece attempts to create a rudimentary version of Stephenson’s idea of animated paper. 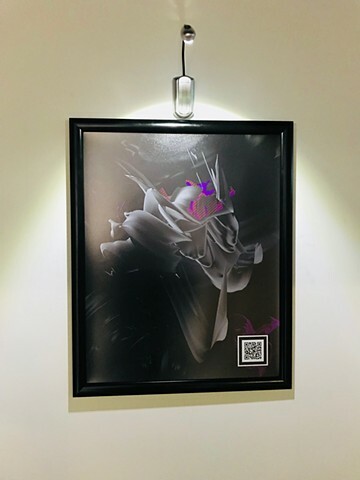 The smartphone, a device that is always available on our body, is used to scan a QR code, extending the experience of the 2D poster to a web-based virtual 3D reinterpretation.